Every day, extraordinary artists, scholars and research scientists engage with students who often wonder how an arts and sciences education has impact for their communities and themselves beyond their time on campus. We know these questions might lead to difficult decisions and we also believe questions can be transformed into promising potential. While many campuses provide quality education, the College of Arts and Sciences at The Ohio State University goes beyond that as evidenced by its investment in career and professional success. As the hub for professional connections, The Center provides students with a competitive edge, preparing next generation leaders for a lifetime of opportunity within a rapidly changing professional world; a world where an arts and sciences education is needed now more than ever. Through a new Career Communities and Connections model, we empower students to more deeply understand the relationships among their education, purpose, and meaningful careers. I invite you to explore our resources, engage our signature programs, and visit us often. Our Career Success team looks forward to working with you! Stephanie has been with the Arts and Sciences Center for Career and Professional Success since August 2005. 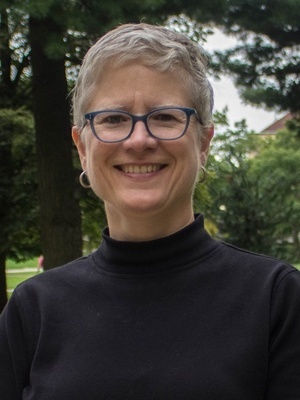 Prior to joining the office, she was the Director of the Career Center at Wittenberg University and held a Career Counselor position with Ohio State’s Career Connection office from 1997-2000. 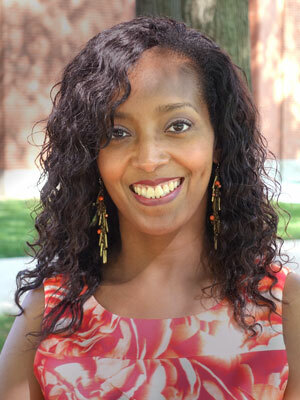 She has a doctorate in Counseling Psychology from Southern Illinois University/Carbondale and has worked in Higher Education, holding positions in counseling, career services, human resources, and course instruction, since 1990. Her bachelor’s degree is in Psychology from The Ohio State University. 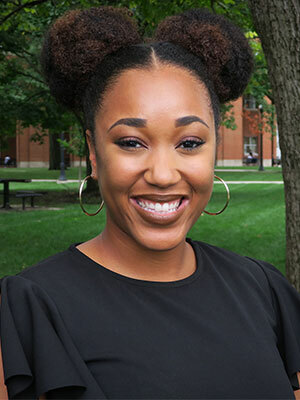 In July 2018, Stephanie was appointed to the newly created role of Director of Career Communities, a position that oversees the delivery of the Center’s career coaching service and the creation of new career courses and career education modules for use by department faculty and staff. She also works in collaboration with the Director of Industry Connections to connect students and industry through innovative initiatives and signature programs that empower next generation leaders to achieve their professional aspirations. 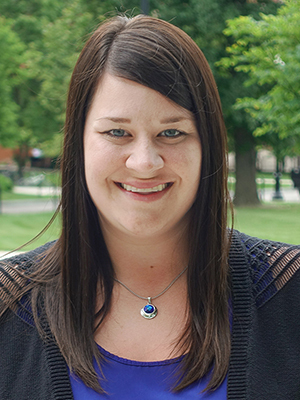 In addition to her advising duties, Brandy serves as the employer relations manager for these career clusters, advising organizations on their Ohio State recruitment strategies. She also serves as liaison to Arts and Sciences Recruitment and Diversity Services. In this role, she facilitates individualized career workshops and distributes internship and career information to the staff to share with DSO students. Mondays 9:30 a.m. to 12:30 p.m.
Tuesdays 10:00 a.m. to 11:30 a.m. and 2:00 p.m. to 4:00 p.m.
Wednesdays 1:00 p.m. to 2:30 p.m.
Fridays 9:30 a.m. to 11:00 a.m. and 1:30 p.m. to 3:00 p.m.
Caitlin is a proud alumni of the OSU Varsity Softball team and received her Bachelors in Community Leadership. She is passionate about empowering and guiding students who seek opportunity and experience that will help them stand out to employers, and students who are looking to dive deeper into their own career development. 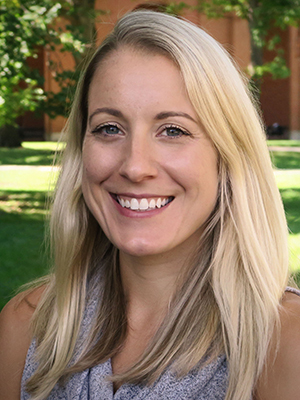 Jess has worked in higher education for eight years, supporting students and championing the value and lasting impact of a liberal arts education. 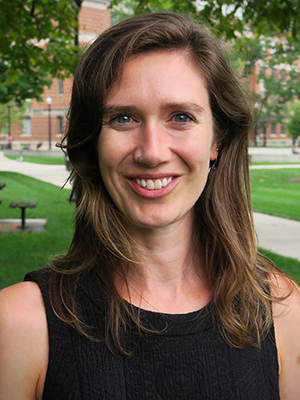 She earned a Bachelor of Arts from Connecticut College in Art History and German Studies and a Master of Social Work from The Ohio State University. 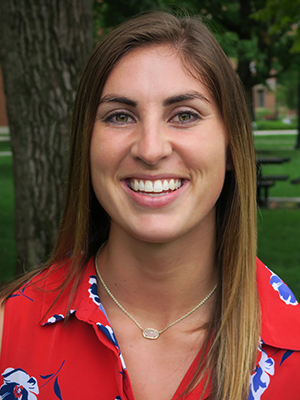 As part of her undergraduate studies, Jess completed a certificate program for international studies and the liberal arts by both studying abroad for a full year and taking part in a 3 month-long internship in Germany. She was also a U.S. Fulbright Grant recipient and returned to Germany as an English teaching assistant after she was awarded her B.A. Mondays 10 a.m. – 1 p.m.
Tuesdays 9 a.m. – 11 a.m.
Thursdays 11 a.m. – 1 p.m. and 2:30 p.m. – 4:00 p.m.
Alyssa joins us after working in the public education system and abroad in Asia. As a native New Yorker, she is a proud alumni of Syracuse University and New York University. She is extremely passionate about all things social-emotional, physical and mental health related. She is committed to taking a holistic approach in working with, motivating and supporting each individual to explore and achieve their career goals. Monday: 11 a.m. to 12:30 p.m.
Tuesday: 2 p.m. to 5 p.m.
Wednesday: 1 p.m. to 4 p.m.
Thursday 9 a.m. to 1 p.m.
Friday 9 a.m. to 12:30 p.m.
Doanise joined the Arts and Sciences Center for Career and Professional Success in 2018, bringing her passion for college student development and 3 years of experience providing holistic career coaching services to undergraduate and graduate students. Doanise is committed to the advancement of diversity, equity, inclusion and multicultural competence in higher education. Her background includes non-profit work in Northern Ireland and South Africa. 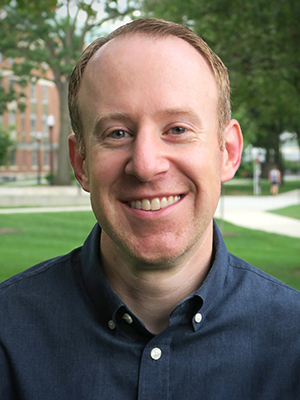 Scott joined the Center for Professional Success in October 2005 as a Career Prep Advisor, and eventually moving into an Assistant Director role. In this role, Scott advised students on ways to build their resumes and professional competencies. 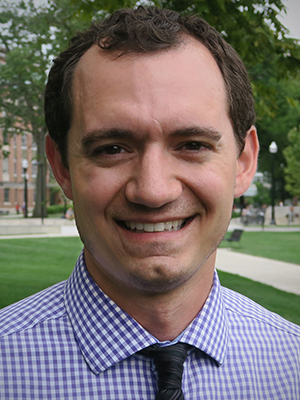 He also coordinated the annual Ohio State Spring Career Fair, and served as the manager for employer relations. 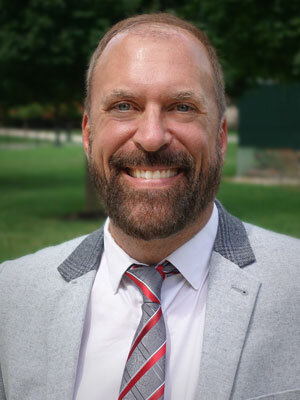 In addition to his duties as Assistant Director, Randy coordinates the annual Summer Internship and Opportunity Fair at Ohio State and facilitates the office's two internship courses, ARTSSCI 3191.02 and ARTSSCI 1191. Jeremy brings an educational background in Biology and 8 years of professional experience in Higher Education to his role. He will build relationships with industries and businesses to help connect them with the high caliber and diverse talent available in the College of Arts and Sciences. Marketing, Advertising and Public Relations. Prior to serving OSU, Brian held several positions across the University of California System, including senior-level posts at both UCLA and most recently, Berkeley's Career Centers. Outside of his roles within the University of California system, Guerrero has worked in various career services positions at New York University (NYU), both at the NYC campus and in creating their career development center in the United Arab Emirates, Abu Dhabi. Guerrero has served the National Association of Colleges and Employers (NACE) as a member of the Finance Committee, Leadership Advancement task force, the Graduate Student Membership task force and has co-chaired the Ambassador Program as well as the 2015 Conference and Expo in Anaheim. He is currently on the 2018 - 2019 NACE Board of Directors. Additionally, Guerrero has co-authored articles for the NACE Journal and regularly presents on various topics such as issues impacting diverse and underrepresented students, emerging technologies and leadership. He was awarded the Association's Mentor of the Year Award in 2015 as well as the Innovation Award for Global Initiatives in 2010. 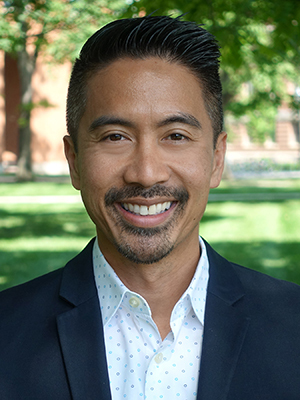 Beyond his involvement in the profession, Guerrero was a consultant for US Agency for International Development, working on projects that advance the growth of university career services in the Philippines. In August 2018, Scott was appointed to the newly established role of Director of Industry Connections. In this role, Scott leads his team as they build relationships with businesses and brands interested in hiring high caliber and diverse talent, ready to help organizations tackle their 21st century challenges. Victoria joined the Center for Career and Professional Success in July 2017 bringing with her a background in hospitality management, customer service, and administrative support responsibilities. She assists with daily office operations, management of fiscal processing and procedures, and provides support for Career Success signature programs and initiatives such as multiple career fairs, career treks, and Career Communities programming. Victoria also supervises a group of student staff in the office. 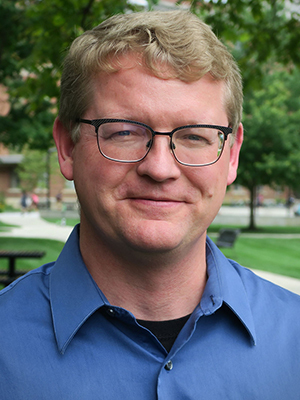 Bruce joined the Arts & Sciences Center for Career & Professional Success in 2018, bringing 13 years of professional content creation and marketing experience to his role. Bruce’s primary duties include marketing & promoting events and services of the department to students, alumni, campus departments, and industry. He does this through digital, social, and traditional media. 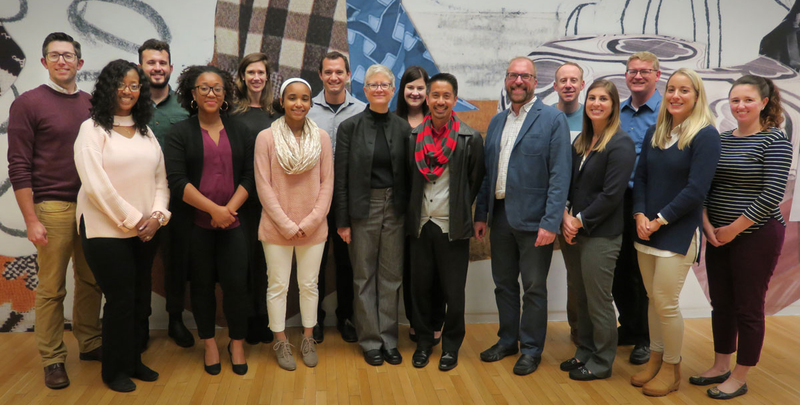 Bruce also assists with events such as career fairs and leads the Center’s marketing internship program. 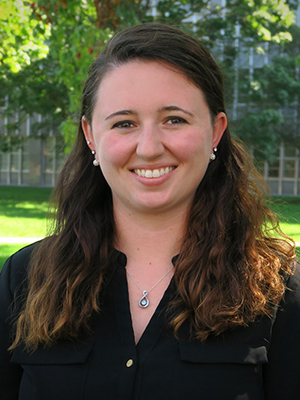 Jessica joined the Center for Career & Professional Success in 2018, bringing over 4 years of experience in higher education and 3 years in information technology. Her role is to ensure the success of our initiatives through the analysis and assessment of data. Additionally, Jessica generates and designs reports and presentations of findings for delivery to key stakeholders. Through teamwork and interdepartmental collaboration, her work supports many different functions and elements of the center’s daily operations. 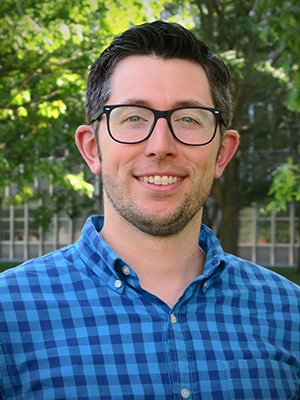 Alex joined the Center for Career and Professional Success in 2019 bringing with him 3 years of experience in working for and with colleges and universities. 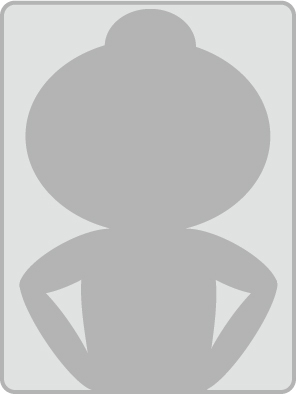 As the resident subject matter expert on Handshake, the The Ohio State University’s career management tool, it is his duty to manage access and accounts, train and present to core users, process relevant data and serve as a general advocate for the benefits of Handshake across the College of Arts and Sciences. Our vision is to galvanize a community of engaged professional champions so that every student is prepared to design their lifetime of opportunity.